A recovery operation is underway to clean up spilled fertiliser on an M6 slip road near Lancaster. 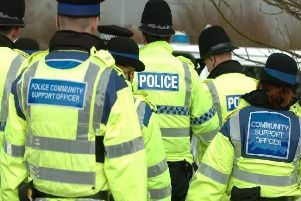 Both lanes of the A6 Preston Lancaster Road, which leads to the M6 at junction 33 in Galgate, are blocked after 15 bags of fertiliser spilled from a lorry at around 9.30am. The lane closures are preventing access to both the M6 northbound and southbound carriageways from the junction. A spokesman for Lancashire Fire and Rescue Service said: "A lorry shed a load of fifteen bags of fertiliser on a road leading to Junction 33 of the M6. "There were no casualties and firefighters from Lancaster cordoned off the area affected. "Contractors are in attendance to clear up the spillage." 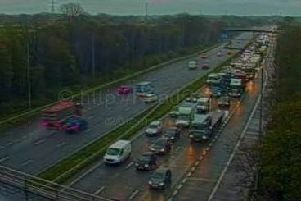 Access to the M6 northbound and southbound from junction 33 in Galgate is closed due to a spillage. Highways England said a recovery operation is underway, involving a JCB excavator (digger). A flatbed truck is understood to have shed its load on the slip road approach to the M6 northbound. Traffic officers are advising motorists to find alternative routes to their destinations via the A6. The carriageway is expected to be clear and lanes reopened between 12.30pm and 12.45pm. Motorists are being asked to find alternative routes via the A6 after access to the M6 was closed at junction 33 in Galgate, near Lancaster.